The triathlon run is one of the hardest parts of any race – in my opinion. This is because I have given everything to the swim and the bike splits. Gear required for the run is the cheapest of the lot. You really just need a pair of runners and a tri suit or shorts and a top. You could throw in a pair of sunnies and a hat for warmer weather but that’s about it really. Wearing the correct bike shorts for cycling is critical as they are designed to provide compression and comfort on every ride. A key factor of a decent pair of bike shorts is the padding or chamois. This ingenious device provides comfort in the saddle for both short and long journeys and once you have tried a reputable pair of bike shorts you will never look back. The women’s bike shorts picked for this review are the most popular brands out there at the moment. They should give you a view of what is on offer for female cyclists and also a breakdown of some of the features you would expect in a quality pair of women’s cycling shorts. The Pearl Izumi attack women’s bike shorts are by far our favourite shorts. They are superbly designed and ultra comfortable in every way. They will become your go-to shorts for any distance ride. Just the right amount of compression in the material and the padding in the chamois is excellent. Easy to wash and the quality material will last a long time. Here is a quick video from Pearl Izumi on the main features of the shorts. Go try them out – you will thanks us later. These are great quality hard wearing shorts that will stand up to long distance rides. The fit is snug but not too tight and the high waistband is super comfortable. These are very comfortable shorts for all distance but especially on long distance rides. The Chamois is superb quality. The high waistband keeps everything in place and avoids any rollover. When you get into the sport of cycling and maybe even triathlon then you should consider investing in a more expensive pair of shorts. You will have to pay a bit more but the quality and comfort of a really good pair of women’s bike shorts are well worth the additional cost. Remember you want them to last, plus you might transition into long distance cycling or perhaps even an IronMan race so don’t skimp if you don’t have to. When you start to look at the higher end of bike shorts for women you can pay anything up to three hundred dollars for a pair. We love these Pearl Izumi women’s shorts as they offer good value for the quality you get from this quality brand. Another favourite of ours is Beroy women’s bike shorts. If you are looking for something comfortable yet budget friendly then these are perfect for you. Made from 100% polyester they mould nicely to any shape. They are quick drying and come in cool looking designs. The chamois is comfortable without being too over padded like some other budget bike shorts. Just be careful with sizing as they tend to stretch a bit over time. Like all shorts, they need to be washed after every use but you can just stick them into a warm wash and they are good to go again. There are silicon grippers on the inside leg that hold them in place all day. There are a few different styles of bike shorts available and the choice you make is really up to you. You can get longer shorts that cover more of your let and provide extra control over muscle compression. Shorter shorts that give you maximum free movement. 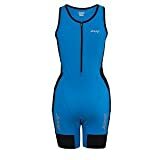 Women’s bib shorts that have shoulder straps to keep everything securely in place on longer rides. Your colour choice is unlimited but we recommend that you go for a pair with reflective panels or seams if you are cycling around at dusk or early morning to make sure other people and traffic can see you on the roads or trails. As mentioned above the chamois or padding of the shorts are the most important feature to look for. With women’s cycling shorts the chamois is thicker in the middle compared to men’s ones to provide additional support for your sitting bones (ischium bones). 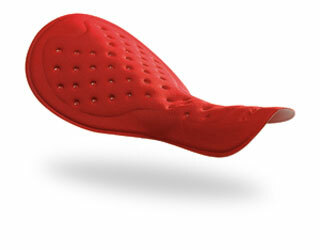 This padding really makes the difference on even shorter rides and you would be mad to go for a pair without padding. This padding really makes the difference on even shorter rides and you would be mad to go for a pair without padding. Most women’s shorts have a chamois that is sewn into the material and this helps keep everything from slipping about. You wear these shorts without underwear and because of the design you are maximising comfort without having to worry about abrasion of any kind from a loose fitting material. You also want to invest in a quality pair of shorts that allow plenty of free movement. Some of the cheaper pairs out there are quite restrictive and will become uncomfortable very quickly. Another issue we find with cheaper brands is the gel anti-slip band around the leg cuff of the shorts tends to be of poor quality and the shorts ride up your leg or nearly pull the skin off your leg! The band prevents all sorts of issues when you are cycling. If your shorts ride up your let you are going to end up with bundled material that will cause chafing. The chamois will also move around and this can cause all sorts of problems – especially on a longer ride. All good bike shorts are made of a spandex material. They should be worn as a snug fit but no too tight. You need them to fit comfortably but to stay in place. With spandex, they should hug your skin. You might see some designs made up of several different types of material. This design allows for breathable side panels in the shorts to keep you cool on long rides and warmer days. You are looking for a compression feel to your shorts that help with muscle movement but do not restrict blood flow in any way. Hygiene is hugely important with women’s bike shorts. Because you wear them without underwear you need to make sure and give them a good machine wash after every use. If you don’t look after your shorts you can get a build up of nasty bacteria in the material and chamois and this can lead to saddle sores or infections over time. Also, make sure to let them air dry to preserve the elastic in the seams. If you have a favourite pair of shorts you wear out on the bike that you can’t live without then let us know and we may add them to the list. We can’t obviously cover off every brand or style here so just picked the ones we feel are top quality for the money. Also, we would appreciate you hitting one of the share buttons and spreading the word if you feel that this post on women’s bike shorts is of value to you or perhaps to one of your friends. Thanks for stopping by and happy cycling. Triathlon bags or transition bags, while not essential for race day are a must of you want to get to and from a race without stressing on whether you have everything you need to complete. I spend a fair amount of hard-earned money on my tri gear. The last thing I want to happen is for it to end up all over the road. That’s where a good triathlon transition bag comes in. Yes, I know it seems odd but the reality is that you need somewhere to keep all your stuff on race day, and a properly kitted out bag is going to help reduce stress when you get to the start line. Knowing you have everything you need and that it’s all readily available in its own compartment really does make a difference. Take a look below. 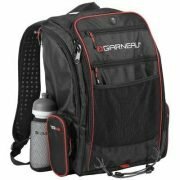 We have picked out our best-sellers, the top of the line tri bag, and also a nice quality budget bag. The Blue Seventy Transition Bag is by far our most popular transition bag. Most people who race triathlon will know Blue Seventy for their awesome wetsuits. They also make a superb triathlon transition bag. This really is a great all-rounder and a bag that some of our racing team currently use. Some of its cool features include a large insulated compartment at the bottom of the bag that will hold a wetsuit. A very handy elasticated pocket for your helmet. Some fairly decent sized side pockets for drinks bottles and hydration, a multitude of internal zip pockets for your essentials like keys etc.. It sports a large opening for top loading of your kit and has plenty of room to hold everything you need on race day. Top all of that off with very comfortable shoulder and waist straps to carry the bag around and you are on to a winner with the Blue Seventy Tri bag. This bag has been around for a while now but still makes the cut when it comes to value quality and features. 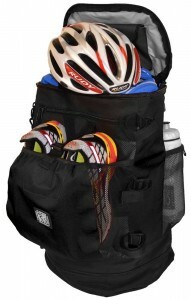 A very popular triathlon transition bag and top of our list. Orca makes a fantastic tri bag that is jam packed with features you would expect to see from a brand like Orca. The Orca bag has been built with every feature designed to suit a triathlete. There are pockets for literally everything you need on race day. The is a very handy helmet pocket to protect your lid, special dry compartments for your wet gear, separate sections for dry gear and it even has lined sealed compartments for your electronics like phone and car keys. One really great feature is the bright interior of the bag. Now, this may seem gimmicky but it’s really easy to find things in the bag because of the contrasting colors. So let’s take a closer look at what we really like featurewise about this tri bag. 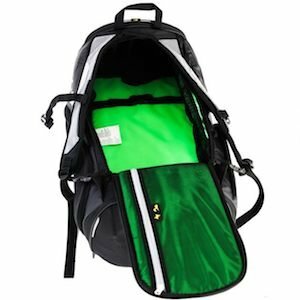 It is a cool looking bag, comes with white reflective strips to keep you safe and the green liner makes finding things a breeze. The Gyst BP1-15 Triathlon Backpack claims the top spot in our review. This really is a top class tri bag and carries all the features you would expect from Gyst. It features the Gyst X-Changer system that allows you to get changed pretty much anywhere. You can stand on a built-in transition mat that folds out from the bag, keeping your feet clean and dry while you change – essential when you are in a transition area and don’t have time for anything. There is a multitude of pockets in this bag that can carry all of your triathlon or fitness gear, a wet compartment for your wetsuit or swimming gear and damp towels. The final bag on our list is the TYR Alliance Team II Backpack. This awesome bag from TYR really is the best value for money available today. Full of top features that you would expect from TYR – A great brand in triathlon. The TYR tri bag has a good-sized interior compartment that will hold all your swim gear or wet towels. It also sports a large dry compartment. This helps separate things out and keep you organized. It comes with a goggle protector pocket, reinforced interior pockets and a handy pocket for your iPod or smartphone. Comes with good strong straps and has a padded back for extra comfort. This really is a great bag considering the cost. Put simply, though – you cannot underestimate the import role a good tri bag plays on race day. Everything on race day goes into your bag, except your bike and possibly your helmet, but there are bags that have clips for holding your helmet which comes in very handy. My first day out I had three bags full of gear and more bits and pieces. What a disaster really. There was stuff everywhere and I must have gone through each bag twenty times to make sure I had everything. I invested in a decent transition bag before the second race to avoid this happening again. Modern design gives you multiple compartments and sections that allow you to split up each area of the race into separate spaces. We can provide customer reviews for Zoot, Zipp, Zeus, Blue Seventy, Desoto, Nike, Orca, TYR and more, so just reach out and ask us. If there is a particular bag you have in mind that is not on our list we will gladly take a look and give you our honest opinion via a review. When you are on the hunt for a new tri bag there are some key features you should definitely look for. As this is a multi-disciplinary sport you should try and get a tri bag with separate compartments for each discipline. When you are going to a race everything is nicely organised and more importantly dry! If you can get a bag with a wetsuit compartment and somewhere waterproof to store your towel you will keep everything else in your bag from getting soaked. I like to separate out my gear based on each section of the race. I keep all my swimming gear together in one section. There is a dedicated section for my tri suit and running gear – including my runners, and finally somewhere for my helmet and visor. Some of the best triathlon bags on the market are designed this way and one particular feature I like is the ability to strap my helmet onto my bag out of the way. Just remember to put in on once you enter the transition area or you risk being disqualified before you even get started. Look for something with a bit of padding around the straps and the back area. We tend to carry quite a bit of kit in our packs and you don’t want to strain or injure yourself – at least until after you cross the finish line. I also like to keep all my race nutrition separate from my gear just in case any of my gels or fluids leaks. This can be a bit of a nightmare as everything gets sticky and uncomfortable. Some modern racing bags have an array of side pockets for storing kit and these can be great for things like swimming goggles, swimming hats and even your tri sunglasses. You bring a lot of gear with you on race day so keep it organised and you will be one happy racer. When it gets closer to race day it always pays to be organised. There is enough happening on the day without you having to worry about whether you packed everything you need. Did I remember my goggles? Yep, I’ve seen this many times before. People rock up on race day and have forgotten their helmet. Rules now dictate that you can’t even get into the transition area without your helmet firmly attached to your head, so if you forgot yours then you are out before you even start. Some of the specialised tri bags have specific compartments for your helmet or straps on the top or front of the backpack when you can clip on your helmet. If you are using one of the really fancy Triathlon TT helmets then chances are it comes with its own bag or box so just clip that onto your bag strap somewhere anyway. I like to pre-clip my shoes onto the pedals before I leave transition and hold them in place with a few elastic bands so they don’t flop about in the run-up to the bike starting point. But what happens if you forget your shoes. Have you ever tried to cycle a bike with normal runners and clip on pedals – yes it works but you ain’t going to be hitting any personal bests on the day. Some more modern bags have special zippered areas or netting for your shoes so make sure you have them packed before you go. I have a bag that has separate areas for each part of my race and that really helps keep me organised. Make sure to pack yours before you leave the house on race day. You can live without a swimming hat because at most races you are given a colour coded hat so the marshalls know what wave or race you are competing in and can direct you easily. Most important of the lot when it comes to swimming, is your wetsuit. Now in some races, you are allowed in the water without one but why not have it on anyway to help you with buoyancy and streamlining in the water. Use the advantage where you can. Look for a bag that has a wetsuit compartment included because while the wetsuit is dry going on, it’s going to be soaking when it comes off and you don’t want to mess up the rest of your gear if you don’t have to. Always pack a towel. This comes in extra handy after you enter T1 and get changed into your bike gear. Try pulling tight socks onto wet feet when you are in a rush and you will understand. It only takes a few seconds to dry your feet but it’s totally worth it. I have churned through many different types of tri suits over the years but they will never get used if you forget to bring them with you! Believe it or not but quite a few athletes forget their runners. You would think they would be already wearing then on the day but that is not always the case. Make sure they are packed and stick a spare pair of socks into the bag just in case. Hydration is critical to your performance so make sure to keep an eye on this at all times. I have a bottle on my bike at all times but will often have a spare bottle with me – depending on heat conditions etc. Not so important for short Sprint type races but for anything longer you will be using Gels or nutritional bars/chews of some description as you race. Check out our review of the best triathlon gels here. Yes, there will be vendors there on the day in case you are stuck but we don’t recommend taking anything different than the norm on race day just in case it upsets your stomach or gives you cramps. The time for experimenting is when you are training only. As you can see there are many features you would expect in a decent triathlon equipment bag. We have tried to take a look at some of the best bags on the market from an inexpensive triathlon training bag right up to the triathlon elite bag and give you an overview as part of this review so you know what to look for. If you don’t find what you are looking for today then why not subscribe to our site for relevant updates or check back in again another day. We hope you like our review and thanks for stopping by. 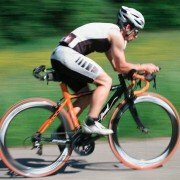 If you are just getting into Triathlon then why not take a look at the history of the sport and see where it came from. It’s a great read. You can check it out here. Thanks for visiting and happy racing. A must for any novice or expert triathlete is to invest in the best tri shorts you can buy. If you are not a fan of wearing a full tri suit on race day then you really only have the option of wearing separates. 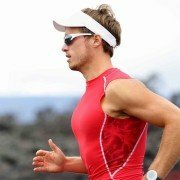 Given the fact that you are going to be flat out for the duration of the race you are going to need some kit you can rely on to help you in your quest for your next personal best. With this review of triathlon clothes we have focussed on quality tri shorts as opposed to the cheapest options, but still conscious that you don’t need to spend a fortune on gear either for both training and racing. The reasoning behind this is they will last you much longer and provide multiple benefits on race day. Zoot continue to produce the number one men’s triathlon shorts. This pair really is world class and for the money, they are worth the investment. Zoot tri shorts are designed for the pro’s but can be used by an absolute beginner and you will notice the difference from the first time you wear them. The ZOOT SPORTS Men’s 8-Inch Tri Shorts are a great all-rounder and can be used during training and on race day. The SBR 1D pad provides ultimate in comfort while racing or training, making the Zoot Men’s performance tri shorts the most comfortable shorts in triathlon. These men’s compression style shorts are my go-to for every sprint triathlon race I compete in but can also be used as long distance tri shorts. The Seamlink stitching helps to minimize chafing whilst providing next to skin comfort and maximum stretch in the fabric – all making this the number one choice for Tri shorts. Another thing to note is the comfort of the waistband. Unlike some other shorts on the market, these ones are amazingly comfortable and stay in place for the duration of the race – even under your wetsuit. Secure waist fit with the handy inside drawcord. Superb leg grips. 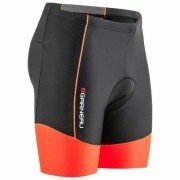 Next up is the Louis Garneau Pro 8 Men’s Shorts. 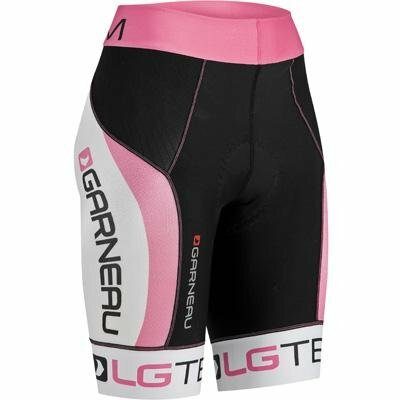 Designed from first-grade materials the Louis Garneau PRO8 shorts are top of the line men’s tri shorts when it comes to comfort – both on race day and during heavy-duty training sessions both in and out of the water. The multitude of different materials that make up these shorts all plays a vital role in their performance and are a great all rounder even just as running shorts. Delfino is a material that breathes, wicks effectively and provides superior ventilation during your ride or run. This fabric has been noted to provide exceptional aerodynamic properties along with added compression to enhance support for your muscles. The biggest benefit in our eyes is the ability of the material to resist water absorption. This will keep you drier for longer, while on the run or bike stage of any race, or indeed while you are out training for the big day. Finally, the Carbon-X Mesh built into the rear of the shorts provides adequate muscular support but also provides better blood flow. Another great feature of the Louis Garneau PRO 8 tri shorts is the 4-way stretchable chamois pad. This clever piece of kit is lightweight but very comfortable on both long and short distances. It is quick drying and provides great comfort during the bike and run, but does not hamper you in any way during the swim. Louis Garneau is known worldwide for the quality workmanship. These shorts are no exception. Built from quality material with all the latest design features you can be sure that once you try these out you will never look back. If you are the hunt for a new pair of triathlon shorts then you can’t go wrong with any of the brands above. There are a few features you need to look out for when choosing tri shorts. Number one on our list is comfort and durability. You wear these shorts from start to finish at every race so they need to work in more ways than one. First up, you are going to wearing them under your wetsuit so they need to stay in place but not be so bulky or loose fitting that they end up in places they were not designed for. They need to be quick drying when you hit the bike because regardless of how good your wetsuit is they are going to get wet and after competing in a few races you will notice the difference to your ‘undercarriage’ if they do not dry off in the wind on the bike. It’s not a very pleasant feeling let me tell you. They need a fairly good waistband. Because they are not all in one tri suits or bib style shorts you need the band to help them stay up. This goes for all parts of the race. Seems a bit odd mentioning it but there is nothing worse than having to keep pulling up your shorts while you are hammering down the road during a race. Stay in position under your triathlon wetsuit. You also need to focus on the leg grippers on your shorts. They need to be tight enough to avoid slipping but comfortable enough to get you through a lengthy ride. Some of the cheaper pairs you can buy will sort of stick to your legs and chafe while you are riding even short distances, so best to avoid this at all costs. The next thing you need to focus on is comfortable, but durable padding. Your ride distances will always vary in length but you want to be as comfortable as possible even on shorter rides. 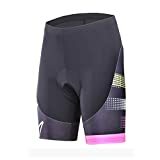 Having checked the reviews on each of these shorts you can be sure that they will provide the level of comfort you would expect from quality triathlon shorts. While the padding is important on the bike section of the race you don’t want too much or it will hinder you when running. There is a fine balance here but any of the brands shown take this into consideration. Another important factor to consider is how the tri shorts are made. Are there loads of seams in the material? This may give you a great look to the shorts, but if the seams are thick and in the wrong places you are going to suffer from considerable chaffing one you start racing. The Zoot shorts above have multiple types of material as part of their makeup but if you look closely you will notice that the seams don’t run into any confined or pinch point areas when you wear them. This allows the manufacturers to add in breathable and compression areas to the shorts to help you every step of the way. The seams should be flush on the inside and clear of any areas like the crotch etc. There are seams around the padding in the seat of the shorts but internally you will notice these are flush with the material to again, avoid chaffing etc. If you want to extend the lifetime of your tri shorts then try and hand wash them after every ride or run and only put them through the washing machine after five or six uses. A good soaking in warm to hot water with some soap is enough to keep your shorts clean are presentable. The more they go through the washing machine the shorter lifespan they will have. Do make sure to wash them thoroughly though if you do decide to hand wash them. Tri shorts are not for everybody and the majority of athletes prefer a full tri suit on race day but it is really up to you which one you prefer. We opt for both options and it really depends on weather conditions and the length of the race we are competing in. Just remember if you go for tri shorts then get yourself a decent tri top to match. 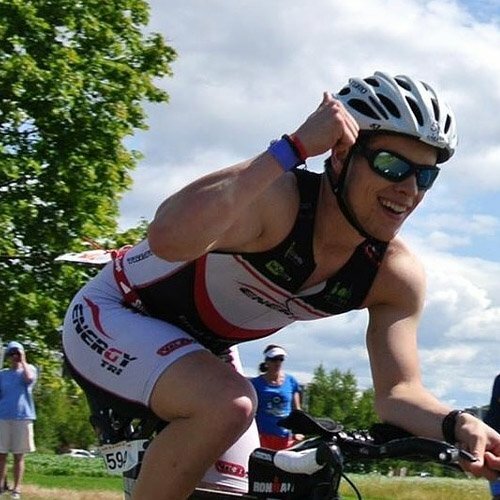 This review could cover hundreds of pairs of tri shorts so we have just selected some of our favourites based on customer feedback and reader reviews. If you have a favourite pair that you feel should be on the list then leave us a comment below and we will gladly have a look and see if it should be featured here. We hope you like our Best Tri Shorts review and if you are interested there is plenty more Triathlon info here to keep you busy reading. Thanks for visiting and happy racing. Remember to leave a comment if you have experience with any of the products listed here. Your feedback is key to us keeping up to date with the latest gear and recommendations. We are here to provide honest feedback and quality reviews without bias so let us know what you think. Also, hit one of the share buttons and help us spread the word to other Triathletes across the world. It’s happened to us all at some stage when racing and can do untold damage to your feet and to your finish times. 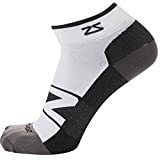 When I started out running and competing in triathlon races I didn’t have any sort of a budget to spend on top of the line equipment and used an old pair of runners and some basic socks on race day. This is not uncommon and we always tell people starting out not to invest too much of their hard earned money on new equipment in case they don’t stick to the sport. When I got to the finish line after my first race you could have boiled a pot of water with my feet they were that hot and blistered. This was caused by a combination of ill-fitting runners and some very cheap socks. Skip forward to today and I have solved the issue of blisters on my feet when out running because I invested in a decent pair of runners that actually fit and some anti-blister socks. 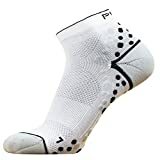 I had no idea these even existed until I started researching but once I found them, ran a few races and binned all my old cheap socks I was a very happy man with very happy feet… Here are our top nine options for anti blister socks. 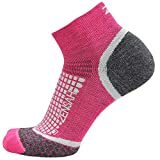 There are several ways you can get blisters on your feet and for this section, we are going to look at your running socks. 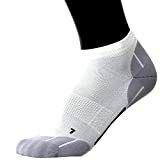 Most cheap socks have a seam around the toe section of the sock which causes rubbing when you run. 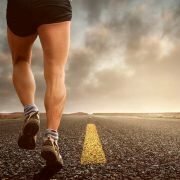 You get blisters on the tops of your toes and at the front of your toes just below the nails because the sock is moving about when you run and grinding off the top of the inside of your runners. It doesn’t take too long for this rubbing action to cause blisters and once you get them there is nothing you can do when racing to fix this problem. All good anti-blister socks have seamless toe sections so this is never going to be a problem. Another cause of blisters is lack of padding in the heel section of your socks. Again cheap socks do nothing to prevent this but if you invest in a good pair of purpose made socks you will notice straight away they all have some sort of padding around the heels. This helps in two ways: a) more blisters on your heels and b) additional comfort while running that helps with fatigued feet. One thing that can cause blisters when you are out racing is runners that don’t fit. A loose pair of runners that wiggle about when you run are a sure fire way to carve the heels off yourself and cause serious damage to your feet. If you are serious about the sport of triathlon or competitive running you should definitely invest some time in getting your feet measured properly before you buy a new pair of runners. Another common cause of sore feet is not drying them properly after you finish your race. 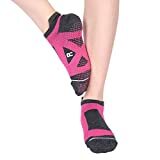 If you pick any of the running socks mentioned above this won’t be so much of a problem because they have good wicking properties and draw the moisture away from your feet. 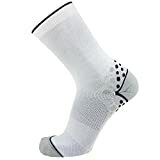 It may seem like a small thing to worry about but after all your training and preparation for race day why would you let something as small as a pair of socks upset and hamper your running form. If we were to pick just one pair of socks we couldn’t live without then they would be the Ultra Comfortable socks by Pure Athlete. These socks are super comfortable and well made. They have just enough padding in the toes and heel section to provide you with plenty of comfort, without feeling too heavy or bulky. They fit very well and don’t move about when you are running. They wick away moisture when you run and keep your feet as dry as possible. I used to suffer from blisters and sort of hated the run section of every race because my feet would end up in bits after it. Not anymore though with these little beauties. I haven’t had a single blister since I started wearing them and have run various distances to test them out fully. They also have a non-slip cuff at the tops and this helps your socks sliding down into your runners or hiking shoes. I wear these socks for running, hiking and hill walking and even if I’m just out for a long walk. There is no doubt that a good quality triathlon suit can help you on race day. The fact that you can wear it from start to finish helps reduce transition times as you whip off the wetsuit and just keep going. When it comes to selecting a tri suit there are a few important things to look out for which we cover in this article. Are looking for the most comfortable tri suit, a suit that you can wear under your triathlon wetsuit, or a tri suit you can use for all three stages of the competition. Straight away we recommend the following triathlon suits. The SLS CMX Men’s Trisuit is awesome value for money and the De Soto Forza suit is top of the line when it comes to quality, comfort and durability. 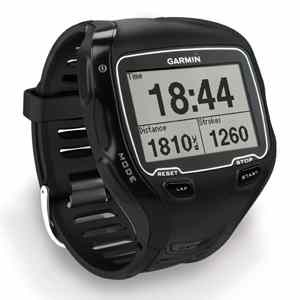 You can spend anything from fifty dollars up to over two hundred dollars for the top of the line triathlon suits. Because it can be a tough choice to make we have put together this list to get you started in your decision process. We may not cover all the best triathlon suits but hope you can find something here that suits you. These are the most popular on the market at the moment. A great question and the answer is – it depends. We have created this triathlon suit guide to give you an idea of the most popular in the range and compare features. The first suit I bought was a real beginner special. It cost about $30 and while it did last a few races there was no comparison when I upgraded to a more reputable brand. Straight away I noticed the fit was much better. The leg grips on the original suit were crude silicone bands that were tight enough to nearly cut off all circulation to my legs. The newer suit – a Pearl Izumi had silicone free ends on the shorts and it was the material itself that held them in place. The next thing I noticed was the padding. The old shorts had a very thin flimsy padding, which was torture on the bike section of the race and didn’t conform too well to the undercarriage areas. This was very noticeable when trying to run as it sort of wobbled all over the place. With the upgraded shorts the bike ride was much better. It was like wearing a pair of really good bike shorts but without the overly padded area that would have hampered my run performance in stage 3 of the race. 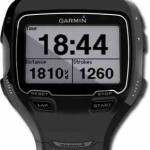 I have used this for sprint triathlons and as a long distance tri short as well and they never let me down. All tri shorts are made from synthetics and one thing to be wary of is if the manufacturer uses any sort of chemical coating on the material to provide performance improvements. This can be great when they are new but after a few washes the chemicals dissipate and the advantage goes down the drain. If this is a concern to you then get yourself a pair of the De Soto’s I mentioned at the start of the article as they perform the same way from day one until they wear out. Also look at the seams. 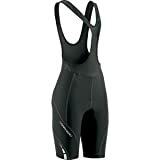 On cheaper triathlon suits the stitching can be very weak and cause irritation to the skin, especially around the zipper area. The better quality brands have overcome this by adding internal cover for the zipper and enhanced stitching to keep you chafe-free. You also need to consider the UV properties of the suit. Chances are you are going to get caught out in the sun at some stages of the race so make sure you are protected. The last thing we want to say on the material of your tri suit is to check how it handles chlorine. If like me you train in your gear to get used to the feel of everything then try to avoid swimming in the pool too much. The chlorine has a tendency to break down the synthetic fabrics over time. One quick tip to add to this post is to watch out for the color of the tri suit you pick. They come in all different colors but try and avoid a suit with white shorts sections because they will show the marks left from your saddle over time and there is no way to get this out. This won’t really matter if you are a pro and get free tri suits from your sponsor, but if you are like the rest of us, then you buy quality kit that has to last season after season so go for something that will stand the test of time and plenty of personal bests along the way. 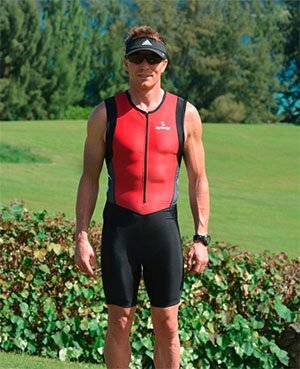 We came across the Synergy Tri suit a while ago and because of all the great reviews, we decided we had to check it out. A great fit, comfortable all over and it has a quality Gel pad for long distance racing but doesn’t compromise you on the run to the finish line. I was wearing the XL suit as I am over 6ft and weight a bit more than I should and this suit fits perfectly. The material is solid enough but comfortable and the leg grips stayed put for the whole race without ripping the legs off you like some other suits. Would I buy another one? Absolutely and probably will, to have a spare suit on hand. Price wise you probably won’t find a better deal than this one on Amazon so go check it out and look the part next time you hit the start line. There are many suggestions about caring for your tri suit. You spend quite a few hard earned dollars on a good quality tri suit so you need to look after it. When washing your tri suit make sure you wash it on a cold wash without strong detergent. Hang to dry and never put it in the tumble dryer. I hear a lot of people wear theirs in the shower and wash them down with baby shampoo. Not a bad idea as the shampoo contains very little in the way of chemicals so won’t corrode your suit. Picking the right tri suit you are comfortable in and can compete without having to worry about chafing, itching scratching or any other irritation while you are out on the race can be a bit of a challenge. There is enough to worry about without adding to it. We have picked out a few of the best from our tri suit women category that we feel will give you the comfortable edge on race day. Whether it is a 2 piece tri suit or an all in one you have come to the right place. Tri-Mesh - Tri-Mesh uses a mix of polyester and spandex to wick moisture away from the body and provide increased breathability for comfort during exercise. This is used for the internal-bra, providing support with maximum breathability. Vapour - The new generation Orca Vapour is a light, breathable fabric used in key moisture transfer panels of garment construction. With a high moisture vapour transmission rate - the rate at which moisture passes through the fabric and away from the skin - Vapour is utilized in areas to maximize performance and comfort. AquaGlide - Orca AquaGlide has been re-engineered as a higher gauge fabric - a tighter knit, for lighter, more breathable comfort and increased durability. Water resistant qualities promote speed through the water, while minimizing water absorption. Featuring spandex inside a polyamide yarn, AquaGlide keeps athletes cool, dry and comfortable. SUPPORT - Built-in Zip Front Tri Internal bra features an Aquaglide front panel for increased support and a Tri-Mesh back for breathability where you need it most. 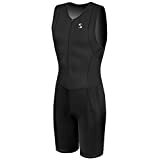 If you have used any other ladies tri suit then let us know and we will review it. If suitable we will add it to the list and publish it here. 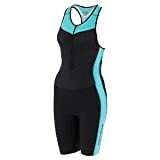 If you would like to write a review on any women’s tri suit then even better. Let us know and we will add it to this page. You can also check out the full selection of women’s tri suits over on Amazon. The Nike Free Run Womens running shoe gives you the feel of running barefoot while giving you supreme traction, cushioning and protection just like a normal shoe without the extra weight or restriction. The flex groove design of the sole is made up of deep cuts along the length and width of the midsole which enhances your natural range of motion. This also encourages a smooth efficient stride and helps maintain stability while you are out on the run. 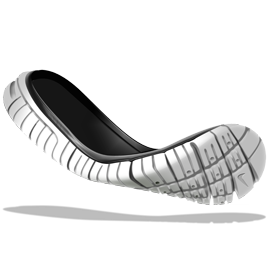 The Phylite material in the low-profile midsole gives you a natural barefoot feel, promotes a natural stride but yet feels extremely light on your feet, promotes a natural stride but yet feels extremely light on your feet and because of its strength it also doubles as an outsole – again helping to reduce the overall weight of the shoe. The Nike Free Run Womens Shoes are very different to traditional athletic shoes. Because of their unique design your feet can move freely and in a much more unrestricted manner while you are out running. 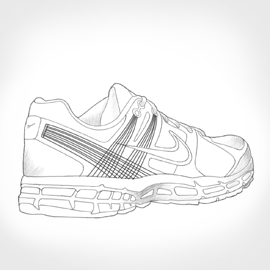 The recommendations from Nike are that you ease yourself into a pair of these runners and get used to them gradually. Because of the freedom you experience wearing a pair of these runners your muscles have to do a bit more work while you are running so steady to start and you will really love these runners for years to come. Another feature of the Nike Free Run Womens running shoes is the flywire technology. Flywire helps Nike provide maximum comfort and ultra lightweight support for your feet while you are out on a run. This strength is from thin nylon fibers placed in very strategic positions in the shoes upper. These fibers hold the foot in place and help to reduce any slippage you may experience. This technology really helps in the overall weight reduction as these nylon fibers are only used where structural support is required. Combining barefoot-like freedom and shoe-like support, the Nike Free 5.0+ Women’s Training Shoe delivers outstanding flexibility and ground-gripping traction for high-speed control. Love the 5.0 Nike! My favorite pair of Nike shoes! They are a great fit, comfortable and very supportive! I think I will stick with the 5.0 for as long as I can. I was forewarned by my runner friends to buy these shoes exactly one size bigger than my actual shoe size which seemed crazy to me but they were right and they fit me perfectly! This shoe is extremely light weight and unbelievably flexible. I have pretty sensitive feet and am susceptible to blisters on my heels and the ball of my foot, but right out of the box, I went on a three mile walk and my feet were great. Seriously, this is the best running shoe I have ever bought! More minimal than the Nike Free Run Womens 5.0+ and more cushioned than the Nike Free 3.0, the Nike Free 4.0+ Women’s Running Shoe provides the foot strengthening and flexibility benefits of natural motion without sacrificing underfoot protection or multi-surface traction. The flex groove outsole – made up of deep cuts along the length and width of the midsole – enhances natural range of motion, encourages a smooth, efficient stride and helps maintain stability. A low-profile midsole delivers a more barefoot-like feel than the Nike Free Run Womens 5.0+, with a 6mm offset between heel and forefoot height for a blend of cushioning and flexibility. Plus, the Phylite material in the midsole is tough enough to double as an outsole, dramatically reducing the shoe’s overall weight. The seamless upper provides exceptional comfort and fit with minimal no-sew overlays. Unlike the previous version, the upper features large mesh panels on the midfoot that increase airflow for enhanced breathability. Interested in the barefoot running style, but want the protection of a traditional shoe? Grab a pair of the Women’s NIke Free Run+ 3 Running Shoes! The low-profile midsole doubles as an outsole to drop some weight to keep your light on your runs. A glove-like fit is created via ‘fingers’ of soft material that wrap around your midfoot and arch for a skin-like fit. Flex grooves along the length and width of the outsole enhance flexibility, help you maintain stability for a more natural stride, and aid in strengthening your feet. Nike+ enabled for your training pleasure. We hope you are happy with the information provided on the Nike Free Run Womens range of shoes. If so then please help us out by hitting share or like on one of the social media options below. We would really appreciate if you helped us spread the word. Also feel free to browse around our homepage for more ideas on the Best Triathlon Gear available with a good mix of health and fitness tips thrown in. Thank You and happy running.